Can we limit global warming rises to 1.5 degrees by 2030? In October 2018, the UN’s Intergovernmental Panel on Climate Change (IPCC) called for urgent action to avoid catastrophic environmental breakdown with the world on course this century for a disastrous 3°C warming above pre-industrial temperatures. Unprecedented changes are needed in the next 12 years by 2030 to keep to 1.5°C, else risk the planet’s liveability, which is feasible but at the ambitious end of the Paris Agreement, and politically unlikely (IPCC, 2018). Even in the COP24 climate change talks in Poland in December 2018, Kuwait, Saudi Arabia, Russia and the US objected to ‘welcoming’ the report as agreed wording, so risking its future implementation. Human-impact global warming is already thought to be 1°C warmer than preindustrial levels, and climate change clerly already happening. Whilst the difference from 1.5°C to 2°C may not sound like much, it makes an huge difference: 10cm in sea levels for starters, meaning impacts for 10 million people, species and habitats exposed to risks of flooding from rising seas. In temperatures, at 1.5°C 14% of the population will be exposed to heatwaves every 5 years versus 37% at 2°C, with its associated issues such as ocean acidity; at 1.5°C, 50% less population will be exposed to water stress than at 2°C, with the food scarcity and climate-poverty that brings, with vital pollinating insects twice as likely to lose half their habitat. Nine of the 10 warmest Julys on record have occurred during the 21st century since 2005, with only one year from the 20th century (1998). The period from 2015 to 2018 were the global hottest 4 years on record. 2016 was the hottest, also with the second lowest extent of global sea ice on record - 4.14 million square kilometres (UN Stats). Climate change is affecting every country on every continent, the poorest and vulnerable the most, with rising temperatures, sea and extreme weather events affecting lives and livelihoods. To limit warming to 1.5C, global net CO2 emissions must drop by 45% between 2010 and 2030, and reach net zero around 2050. Concerted action is urgently needed to stem climate change and strengthen resilience to pervasive and increasing climate-related hazards. Why, what does it mean for the planet and how can tourism possibly help? Energy received from the Sun and lost to space determines the Earth’s equilibrium temperature and climate; energy distributed around the globe, such as by winds and ocean currents, affects climates of different regions. 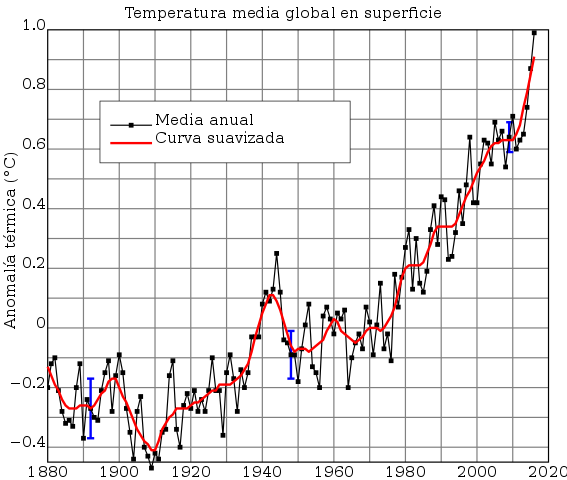 Climate change refers to statistical difference in long-term weather conditions’ patterns. Most often, it refers to man-made (‘anthropogenic’) climate change, ‘global warming’: ongoing temperature rises scientifically-proven since the 1950s, with the likely dominant cause human activity rather than any of the Earth’s natural processes. (Intergovernmental Panel on Climate Change (IPCC), 2013). The IPCC was established in 1988 by the World Meteorological Organization (WMO) and the United Nations Environment Programme (UNEP) to assess scientific and socio-economic information concerning climate change, its potential effects and options for adaptation and mitigation. Human activity emits greenhouses gases (water vapour, carbon dioxide, methane, nitrous oxide and ozone), so-called as these gases absorb and emit radiation, creating a ‘greenhouse effect’ of keeping and increasing the energy in the Earth’s atmosphere. Greenhouse gases have risen since the beginning of the Industrial Revolution (1740s/50s), from human activities, creating a 40% increase in atmospheric carbon dioxide, largely from burning fossil fuels (mostly coal, oil, and natural gas), along with deforestation, soil erosion and animal agriculture. Intensifying environmental and climate threats means that Malawi deforestation rates at 2.8% annually are the highest in southern Africa, exacerbating food and water insecurity. Greenhouse gases remain in the atmosphere for a long time as the climate system has a large ‘inertia’ delay, slowness or resistance between a change taking place and its results being felt. Many effects may persist beyond emission for not only decades or centuries, but for thousands of years. Even if we stabilize the global climate at the 1.5-degree threshold, extreme impacts will continue to increase in frequency for up to 100 years afterwards. Greenhouse gas emissions are now at their highest levels in history, grew more quickly between 2000 and 2010 than in each of the three previous decades, and are now more than 50% higher than their 1990 level (UN). Climate change caused by greenhouse gas emissions is already having serious consequences. Warming global temperatures, changing precipitation, increased humidity and more frequent extreme El Nino and other weather events such as heat waves, droughts, heavy rainfall with floods and heavy snowfall are causing environments to change, and will occur more and more often as long as humans continue producing greenhouse gas emissions. Between 1990 and 2015, more than 1.6 million people died in internationally reported geo-physical natural disasters (UNDP), and the trend is moving upward. Smaller-scale disasters with fewer than 100 deaths also show a statistically significant trend of increasing mortality. Disaster mortality reflects not only exposure to hazards, but also a confluence of other vulnerability factors, underlying risks responsible for most morbidity, such as poor urban management, environmental degradation, lack of disaster preparedness, poverty and inequality, so affecting low-income households, communities, small businesses and food security disproportionally. An increased focus on disaster risk reduction is a prudent investment for saving lives. Around 30% of the world’s population 13% of land area is currently exposed to climatic conditions of extreme heatwaves and humidity exceeding a deadly threshold for at least 20 days a year. By 2100, these percentages are projected to increase to between 48%, with drastic reductions of greenhouse gases, and 74% of world populaion and 47% of the land area, if emissions grow (Nature Climate Change, 2017). Even limiting to the Paris Agreement levels, nearly 50% of the human population will be impacted, largely focused between the tropics. Extreme weather also accounts for about 40% of the fluctuations in annual wheat yields, a crop which supplies roughly 20 percent of all dietary calories worldwide, and 50% variability on corn (Huffington Post). Whilst for every degree that the planet warms up, food production falls by 10 - 15 percent. If it’s 5C warmer by 2100, there will be 50% less food for a world population that has doubled in size. And as food production drops and demand increases, prices will go up: Global warming has already driven up the cost of food by as much as 20% over the past few decades. Then there’s species extinctions, and ocean acidification: UNESCO’s first global scientific assessment of climate change impacts on World Heritage coral reefs, such as The Great Barrier Reef in Australia, warmer waters and coral bleaching is recognised as a global problem requiring global, not local, solutions. Madagascar is one of the top three countries considered most vulnerable to the effects of climate change, with frequent and severe erratic weather patterns with droughts and cyclones which impact heavily on the Malagasy people. Most work in subsistence agriculture: two thirds live in rural areas, with limited education, secure food sources, adequate nourishment, water and sanitation, leading to disease and high child mortality and disease. Warmer temperatures will also bring about more wars. Forced human migration is already at unprecedented levels due to social unrest and economic upheaval. By 2100 climate change could force between 200 and 500 million coastal residents from their homes inland, with fewer places to go, creating a refugee crisis among one-fifth of the world’s population, all the while growing hungrier, thirstier, and more irritable with the heat. Every half-degree of warming will lead to a 10 to 20% increase in the chance of armed conflict. Regional climate impacts jeopardize global security. And if climate refugees flock to cities, increasing urban sprawl into land once used to farm food, cities could lose the ability to feed their inflated populations. Climate change is as much a social issue as it is environmental. Its widespread, unprecedented effects disproportionately burdening the most poor and vulnerable, such as those in agriculture employment, poverty, lack of adaptation opportunity, migration, and disease affecting the most marginalised groups, children, women and the elderly. Learn about climate change in Malawi. Designed to follow Future Earth’s model of sustainable development, RSC’s Global Development Workshops cover Environment and the interaction with health, education, water and sanitation, and sustainable practices. Climate Change is the world’s most feared security threat. Can we survive as a species? Climate model projections summarized in the IPCC 5th Assessment Report (2014) indicate the 21st century global surface temperature is likely to rise between 0.3 to 1.7 °C (lower estimate) and 2.6 to 4.8 °C (upper estimate). This data is recognized by the national science academies of the major industrialized nations and undisputed by any scientific body of national or international standing. The planet can probably only emit about 600 billion tons of carbon dioxide into the atmosphere before temperatures rise beyond 1.5 (the current target) to 2° Celsius. Mission 2020 says the world has just a few years until 2020 to scale back global carbon emissions to avoid the worst effects of climate change and keep the planet from warming beyond the safe limit of 2°C, the level the international community agreed not to cross. In fact, there is only a 5% chance that Earth will stay under 2°C and may even surpass 3°C this century—with some areas of the world expected to warm even more. How can we change climate change? - Enhancing removing these gases from the atmosphere and storing by increasing carbon sinks, peat bogs and forests, to enable more carbon sequestration (‘offsetting’): removing carbon from the atmosphere, with a beneficial effect on soil, land, air, water, wildlife and food production. This is an economic, social and political challenge that some believe will largely fail. But even with significant mitigation, due to climate inertia lag, even the most effective reductions in emissions would not prevent further climate change impacts, so adaptation is unavoidable (Klein et al., 2007). 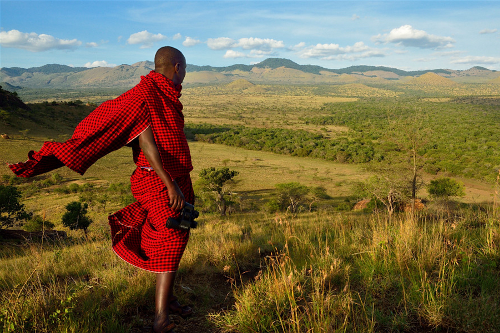 Go to Campi ya Kanzi in Kenya, see and support The first REDD+ Carbon Project for Maasai communities: a UN climate change mitigation strategy through biodiversity and active forest / deforestation / degradation protection and alternative livelihoods for local communities. It’s a 30 year project between 9 organisation partnerships under the Verified Carbon Standard (VCS) and Climate, Community and Biodiversity (CCB) standards, protecting 410,533 hectares which can prevent 37 million tonnes of CO2 emissions. The first carbon credits sale was to Tiffany&Co in 2017. With the climate inertia lag, adaptation will be required even if emissions were under control. Adaptation is especially important in developing countries, which are predicted to bear the brunt of the developed world’s greater emissions and global warming effects, but they generally have less capacity to adapt. Capacity to adapt is linked strongly to social and economic development (IPCC, 2007), the cost of it likely to be billions of dollars per year for decades. Donor countries promised an annual $100 billion by 2020 through the Green Climate Fund to help developing countries adapt but pledges not forthcoming. Technology, education, infrastructure, access to resources and management is required, along with acceptance of climate change’s existence, the consequent need for sociopolitical will and action. Adaption measures include resilient technologies and materials such as for flooding, heat tolerance, rainwater storage, green roofs, raising street levels, planting gardens and building differently, even relocating populations as has been seen with some small island states. In the absence of mitigating climate change, its effects would make adaptation impossible for some natural ecosystems. 3. Climate engineering (or geoengineering or climate intervention) is the deliberate large-scale intervention of the climate system, such as through solar radiation management and carbon dioxide removal, but has so far been shown to be ineffective or could have potentially severe side effects. In 2014, the IPCC determined climate change mitigation a case of the 'Tragedy of the commons' – it would not be achieved if responsibility left to individual (people, institution or countries) actions, inherently independent in their own selfish interests, suggesting the need for committed collective action. The United Nations Framework Convention on Climate Change (UNFCCC), an international environmental treaty signed from 1992 at the Earth Summit in Rio de Janeiro, and ratified by a sufficient number of countries to enter into force in 1994. Its objective is to "stabilize greenhouse gas concentrations in the atmosphere at a level that would prevent dangerous anthropogenic interference with the climate system", based on the scientific consensus that global warming is occurring and extremely likely that human-made CO2 emissions have predominantly caused it. The framework sets forth non-binding limits on greenhouse gas emissions for individual countries. It contains no enforcement mechanisms, rather outlines how specific international treaties ("protocols") may be negotiated to specify further action towards the objective. The Kyoto Protocol extended the UNFCCC, adopted in 1997 and entered into force in 2005, with 192 countries. The Protocol's first commitment period started in 2008 and ended in 2012. A second commitment period was agreed on in 2012, known as the Doha Amendment to the protocol, in which 37 countries had binding targets. By July 2016, 66 states accepted the Doha Amendment, but entry into force requires the acceptances of 144 states. The second commitment period ends in 2020, which has given rise to negotiations held in the yearly conferences and resulted in the 2015 adoption of the Paris Agreement (COP 21 or Paris climate accord), to start in 2020, adopted by consensus in 2015. As of October 2017, 195 UNFCCC members have signed the agreement, and 169 have become party to it. A common method countries utilize to meet obligations specified by the Kyoto Protocol is emissions trading. A number of emissions trading schemes (ETS) have been, or are planned to be, implemented around the world, the bulk currently constituting carbon emissions trading. A country with more emissions can purchase the right to emit more and the country with less emission trades their right to emit to other countries. But greater emitters do not bear the full brunt of their emissions’ cost: external costs affect the welfare of others, people in the future, and the natural environment worldwide, and the fairness and value of that is unclear. In the Paris Agreement, each country determines, plans and regularly reports its own contribution to mitigate global warming. There is no mechanism to force a country to set a specific target by a specific date, but each target should go beyond previously set targets. In June 2017, U.S. President Donald Trump announced his intention to withdraw the United States from the agreement, causing widespread condemnation. The earliest effective date of withdrawal for the U.S. is November 2020. What has climate change got to do with tourism? For tourism, climate change is not a remote event. Climate and tourism are inextricably linked. Whether it's the snow required for wintersports or warmth desired on a Caribbean island, weather and its impact on an environment and sense of place are often key to visitors' destination choices, experiences and spending. As such, tourism is key to a destination's future, as often its most viable and sustainable economic development option, and a countries' main source of foreign exchange earnings, especially vital for many of the world's poverty-stricken Least Developed Countries. Climate change impacts such as retreating glaciers, desertification, rising sea levels, deforestation, biodiversity decline, water shortages and infectious diseases hurt a tourism economy. Yet tourism also contributes to greenhouse gases, global warming and climate change. So it is in the sector’s own interest to play a leading role in the global response. So how can tourism and climate change co-exist and for mutual benefits? In future decades, while demand may switch away from over-heating southerly destinations to more northern temperate zones, to actually reduce climate change, tourism and tourists need to mitigate and reduce the carbon greenhouse gas emissions and effects of tourism growth. Responsible businesses who acknowledge and genuinely address these issues facilitate opportunity to mitigate and reduce carbon footprints. Perhaps tourism gets a disproportionate criticism for its emissions: The sector has been thought to contributes around 5-6% of global greenhouse gas emissions; three quarters (4% total) from transport, of which 40% (2.5% total) from aviation, and 32% (1.5% total) from cars; 21% (1% total) from accommodation, the rest from activities (UNWTO-UNEP-WMO, 2008). In 2018 however, a new study on The Carbon Footprint of Global Tourism said that global tourism accounts for 8% of carbon emissions, a higher figure as it analysed the energy needed to support the tourism system, including all the food, beverage, infrastructure construction and maintenance as well as the retail services that tourists enjoy such as in hotels, shopping and souvenirs. The report also found increases were driven by visitors from affluent countries who travel to other wealthy destinations. The leading countries were US, China, Germany and India, where much travel is domestic; where as travellers from Canada, Switzerland, the Netherlands and Denmark exert a much higher carbon footprint elsewhere than in their own countries. Richer people tend to spend more on higher carbon transportation, food and pursuits: when people earn more than $40,000 per annum, their carbon footprint from tourism increase 13% for every 10% rise in income. People from low income countries spend more on public transport and unprocessed food. Another study has shown agriculture is a significant driver of global warming and causes 15% of all emissions, half of which are from livestock. Beef uses 28 times more land, 11 times water and results in five times more climate-warming emissions than for pork or chicken. Giving up beef can even reduce a carbon footprint more than cars can. buy less meat, milk, cheese and butter and more locally sourced seasonal food - and throw less of it away. drive electric cars but walk or cycle short distances; take trains and buses instead of planes; use videoconferencing not business travel. use a washing line instead of a tumble dryer • insulate homes • demand low carbon in every consumer product. Behavioral shifts could be faster than waiting for national climate policies and widespread energy transformations. Practically, there is no perfect sustainable tourism Utopia. There is tourism which is more or less sustainable, and responsible tourism which is a journey of improvement, taking responsibility to a more sustainable tourism. There’s no denying putting a halt to global leisure aviation could massively reduce the carbon footprint of tourism. However, pragmatically, people are always going to want to fly and travel. Air travel is set to double every 12.5 years. The demand is there, many would find a way regardless of for example additional taxes, even though they may want to reduce their carbon footprint of travel. The number of international travellers is expected to increase to 1.6 billion by 2020, adding greatly to the problem. The travel percentage of carbon emissions is increasing, plus burning fuel at altitude may have a multiplier effect: Aviation’s 2-3% of global carbon emissions may cause nearly 5% of man-made global warming, because it has a stronger warming effect than the same substances at ground level, and its rapid growth puts it on track to consume 25% of the world’s carbon budget by 2050. The USA, which saw Trump opt out of the Paris Climate Agreement, is already responsible for nearly half of worldwide CO2 aircraft emissions alone (Center for Biological Diversity, 2016). In October 2016, aviation actually became the first global industry to limit its carbon footprint as International Civil Aviation Organization (ICAO) approved a UN plan known as Corsia to offset carbon emissions growth from international flights, limiting emissions to 2020 levels from 2021, and plugging an aviation-shaped hole in the Kyoto Protocol and Paris Climate deal. Countries who barely have aviation (such as Burkina Faso) even opted in, such is the urgency in the name of the victims of climate change, such as The Marshall Islands and other small island developing states. “We’re proud aviation is taking the lead, but it’s only 2 percent. What about the other 98 percent? What about maritime and road transport, which are bigger? If they don’t carry on, what’s the point of arguing over 2 percent?” said Joseph Niel, director of the Civil Aviation Authority of Vanuatu at the October 2016 United Nations aviation meeting in Montreal. Called the "global market-based measure" (GMBM), it is based on offsets, not on emission reductions, and aims for "carbon neutral growth": Carbon emissions from aviation are meant to hold steady starting 2021, even as passenger air travel increases. It will remain voluntary for the first several years post-adoption, only becomes mandatory from 2027, and can be opted out of within 6 months – leading to criticism of likely effectiveness. Voluntary means there will always be the likes of Ryannair, now one of the top 10 carbon emitters within Europe, a league which had until now been exclusively occupied by coal plants (Transport and Environment, 2019). New near-zero-carbon electrofuels can be produced and deployed now using existing engines and infrastructure. Electrofuels are produced by combining hydrogen with carbon dioxide, but to do this sustainably the hydrogen must be produced using renewable electricity and the CO2 captured directly from the air. Synthetic fuels are significantly more expensive than aviation kerosene, which is tax free. It would see the cost of a plane ticket increase by 58% if kerosene remains untaxed, or 23% with a proper carbon price levied on kerosene at €150 perc tonne (Transport & Environment, 2018). In the meantime, airlines such as Virgin Atlantic are studying behavioural economics to increase pilots awareness of the measures they could take to improve fuel efficiency. And Wright Electric are working with EasyJet and other airlines to develop battery-powered electric planes which could be used for short haul flights of under two hours' duration to reduce impact on the planet that could be commercially operational within a decade. They see every short-haul flight could be battery-powered and emissions-free within the next 20 years, with aviation electricity coming from solar sources or wind power. We’re more keen than most to see the carbon emissions reality improve with research and development. However, it sometimes seems aviation emissions are used as an excuse to avoid learning more about responsible tourism as a whole. By denying more sustainable tourism exists overall, it challenges us less, so we don’t have to change and improve our behaviour. Realistically, we need to demand better and push the industry to develop. What else can tourism do about climate change? Flights aren’t the only thing which creates carbon emissions on trips: accommodations, tours, activities and other transport options do too, which may occur whether you’re on a trip away or at home. Likewise, impacts of tourism aren’t just environmental or negative. Vitally, the least developed countries in the world are highly dependent on tourism, accounting for over 45% world tourism arrivals and more than 35% of international tourism receipts. (United Nations Conference on Trade and Development, 2013). Tourism is often in their top 3 sectors and exports, representing 10-40% of GDP and jobs. To take away tourism from those countries, who need it most, could literally cut their life-line. Those are people and places that Earth Changers are here to support with positive impact tourism. “The technology exists today to fully decarbonise the [hotel] sector” says ITP Director Fran Hughes, whose Hotel Global Decarbonisation Report shows that hotels need to reduce their absolute carbon emissions – by ‘significant but achievable’ 66% by 2030 and by 90% by 2050, against a 2010 baseline, to fully play their part in mitigating global warming. In July 2017, France – the country with the largest volume of tourism arrivals – announced five-year plan to ban all petrol and diesel vehicles by 2040 as part of the Paris Agreement. Environment Minister also stated that France would no longer use coal to produce electricity after 2022 and that up to €4bn will be invested in boosting energy efficiency. Strengthen resilience and adaptive capacity to climate related hazards and natural disasters in all countries. Integrate climate change measures into national policies, strategies and planning. Implement the UN Framework Convention on Climate Change commitment undertaken by developed-country parties to jointly mobilize $100 billion annually by 2020 for the Green Climate Fund to address the needs of developing countries for mitigation actions. Promote mechanisms for raising capacity for effective climate change-related planning and management in least developed countries and Small Island Developing States, including focusing on women, youth and local and marginalized communities. Earth Changers absolutely supports measuring and monitoring as a way to reduce our consumption and emissions, highlighting in our ‘Places’, the green standards and accreditation schemes which help those business and individuals to work towards their goals. A huge challenge within the SDGs for tourism is that by placing emphasis on Goals 8 (Economic growth and employment), 12 and 14, in which tourism is featured (UNWTO, 2016), will endanger positive contribution to Goal 13. Especially for the most vulnerable, tourism must not be seen as both a source of income for Least Developed Countries (LDCs), and for its social and environmental climate change impacts. Goal 1 - End Poverty: The most poor are the most vulnerable to climate change and disproportionately burdened. Goal 2 - Zero hunger: Climate change threatens land, agriculture, food production, prices and security. Goal 3 - Health & Well-Being: Food insecurity leads to malnutrition, disease and high mortality. Goal 4 - Quality education: Greater awareness-raising and human and institutional capacity on climate change will help address it. Goal 5 - Gender Equality: Women are among the more marginalised groups who are most vulnerable to climate change effects. Goal 6 - Clean water and sanitation: Extreme weather can affect access, and lead to water shortages and infectious diseases. Goal 7 - Affordable, reliable, sustainable and modern energy is required to phase out and replace carbon-creating fossil fuels. Goal 8 - Economic growth & productive employment: "carbon neutral growth" is required to address both livelihoods and climate concerns. Goal 9 - Sustainable infrastructure, industrialization and innovation is required to adapt to climate change. Goal 10 - Greater global equality is required to balance impacts of climate change and adaptive capacity for sustainable development. Goal 11 - Sustainable cities: Climate change will mean parts of the Earth may become inhospitable, affecting rural living and migration. Goal 12 - Sustainable Consumption & Production - Less over-consumption and sustainable production can help reduce emissions. Goal 14 - Marine conservation - warmer waters affects coral bleaching, marine ecosystems, species, coastal areas and communities. Goal 15 - Life on Land - Safeguarding the planet's biodiversity, forests and agricultural land is key to climate mitigation and carbon sinks. Goal 16 - Peace and Justice - Climate justice is ethical, political and social, not just environmental or physical; those who suffer climate change impacts the most are the least responsible, highlighting issues of (in)equity, , human and collective rights and responsibilities.